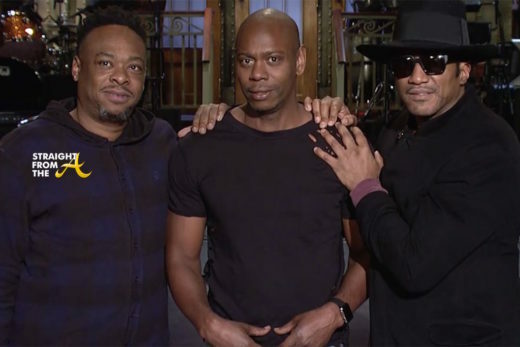 Dave Chappelle returned to TV last Saturday during a triumphant episode of “Saturday Night Live” that also showcased the return of s’A Tribe Called Quest’. The master comedian Chappelle took to the stage for his monologue and blew the crowd away with thought provoking jokes on things like the killing of Harambe and president-elect Donald Trump’s historic win. I didn’t know Donald Trump was going to win the election. I did expect it. It seemed like Hillary Clinton was doing well in polls, and yet — I know the whites. You guys aren’t as full of surprises as you used to be. America’s done it. We’ve actually elected an internet troll as our president. I haven’t seen white people this angry since the O.J. verdict. 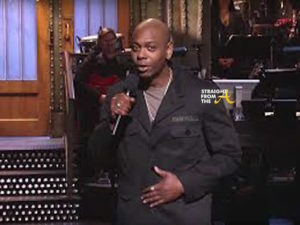 Chappelle also took on ISIS, the Orlando Pulse nightclub shooting, and delivered talked about police violence and the Black Lives Matter movement. Kanye West rocked light blue contacts as he appeared as himself along with Mike Myers and Dana Carvey during their Wayne’s World skit on Saturday Night Live’s 40th Anniversary Special last night (February 15, 2015). But in addition to LOOKING unusual, West also delivered an unusual performance. 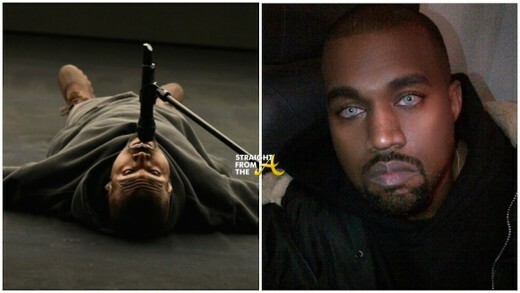 The eclectic artist performed fan favorite ‘Jesus Walks’ while lying ‘dead to the stage’ *funky dineva voice* and had many questioning his sanity. 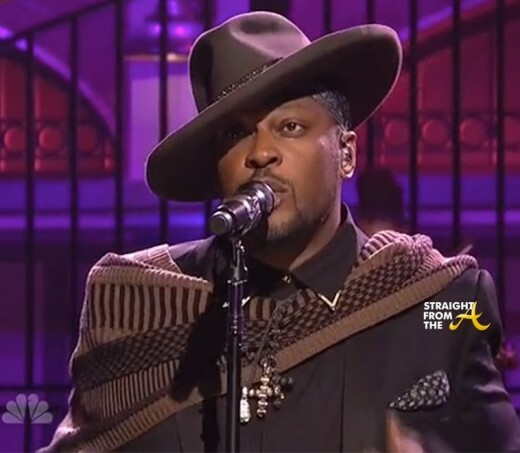 D’Angelo marked his first major ‘comeback’ performance by hitting the stage of Saturday Night Live last weekend. The talented soul singer and his band, the Vanguard, hit the SNL stage to perform two tracks from their latest album, Black Messiah. 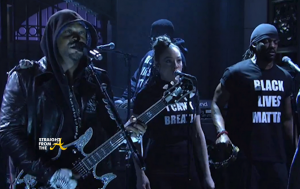 For his 2nd performance, D’Angelo wore a black hoodie while his band, the Vanguard, was clad in black t-shirts emblazoned with the phrases “Black Lives Matter” and “I Can’t Breathe” — slogans from the nationwide response to the deaths of Eric Garner, Michael Brown, Tamir Rice, and others – during the song “The Charade”. 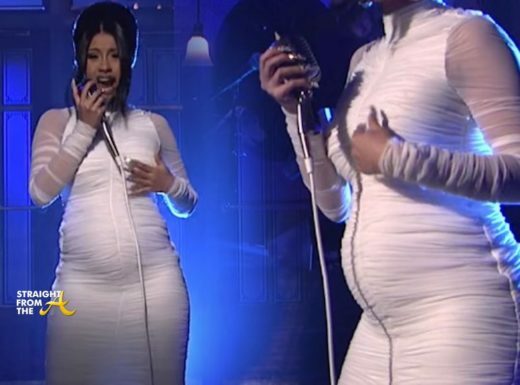 Actress Kerry Washington of Scandal revealed her baby bump on the recent episode of Saturday Night Live and she also helped the show address SNL vet Kenan Thompson‘s controversial comments regarding the show’s lack of diversity. In case you haven’t heard, Thompson (who happens to be an Atlanta native) recently caught a ton of flack after he made a statement that that Black women who audition for roles on the show simply haven’t been “ready” for prime time. While Thompson’s comments may have rang true, the show took advantage of Washington’s appearance on the show to reveal it’s response to the drama. 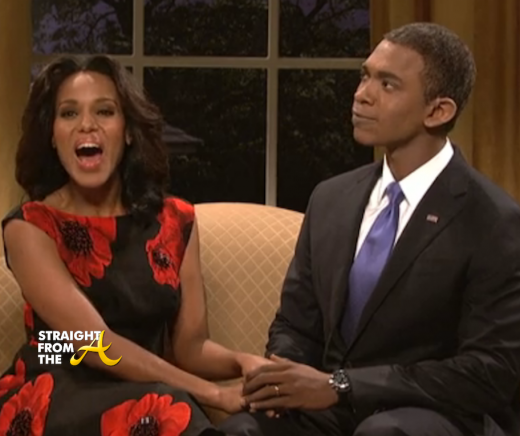 In one single skit, Washington portrays Michelle Obama and Oprah Winfrey. When she’s asked to exit the Oval Office a third time to return as Beyonce, a voice over and text reveals SNL’s apologetic response. 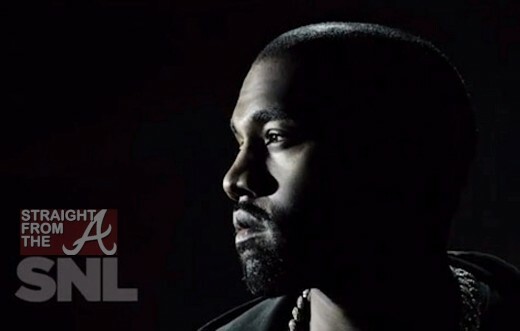 Kanye West appeared on the season finale of “Saturday Night Live,” performing brand new material. Having recently premiered “New Slaves” in cities across the world, from his upcoming album Yeezus, due June 18th, the hot pop to-be performed a screaming rendition of his new song “Black Skinhead’ first, where he channeled his inner rock star in a leather studded jacket. Some of you might just love it.